Two periods each day are devoted to swimming and water sports. Our emphasis is on safety, instruction and fun. 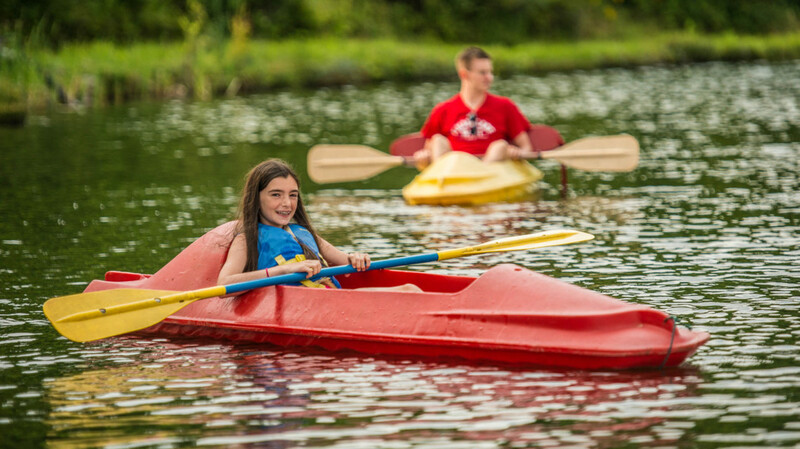 Our experienced Red Cross certified waterfront staff provides special attention to improving swim skills with the main emphasis, of course, on safety. Timber Lake West’s two heated pools set us apart from others. Our Olympic size pool makes free swim a favorite activity while our completely private spring-fed lake, right in the heart of camp, provides the thrill of water-skiing and an extensive boating program, featuring instruction in canoeing, kayaking, row boating, surf bikes, paddle bikes, and banana boating. Campers also enjoy bouncing on our inflatable obstacle course complete with a water trampoline and numerous inflatable slides!